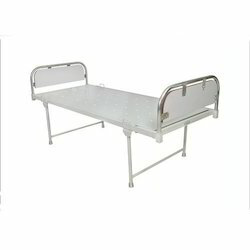 Pioneers in the industry, we offer hospital semi fowler bed ss panels, bed side locker, bed side locker deluxe, crash cart, mechanically fowler bed and hospital fowler bed with abs panel from India. 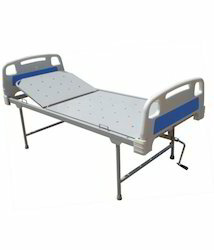 With rich industry experience, we are betrothed in offering a wide range of Hospital Semi Fowler Bed SS Panels that comprises strong and precise steel tubular frame finish with epoxy powder coating. Our offered product is designed using high quality material cutting edge technology keeping in mind the set norms of industry. Along with that, the entire range of product is tested by a team of quality experts on diverse parameters to deliver flawless range to the clientele. Customers can avail this product from us at nominal rates in a given time frame. We are renowned as the most popular enterprises in this industry, offering an extensive range of Bed Side Locker. The given bed side locker is provided for flexible bedside storage solution in hospitals. 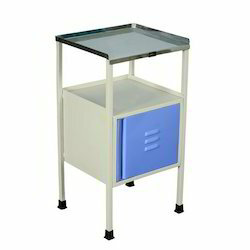 This bed side locker is developed using high quality material & leading techniques in accordance with industry standard. In addition, the bed side locker offered by us is passed through a series of practical tests so as to supply a defect free range. As an acclaimed company, we are engaged in offering to our valuable clients with an extensive range of Bed Side Locker Deluxe. The offered bed side lockers provide high suitability for safekeeping medicine and other storable items. These bed side lockers are obtainable in different specifications to meet variegated requirements of our clientele. Offered bed side lockers are inspected on several predefined quality parameters for ensuring their flawlessness. Crash Cart offered features strong durable fabricated finish and provides support for keeping of lifesaving equipment for ready usage at time of emergencies. Providing for easy movement based on heavy duty castor wheel support, these carts can be easily accessible from all sides for quick viewing and removing of equipment and drugs during emergency medical aid situations. 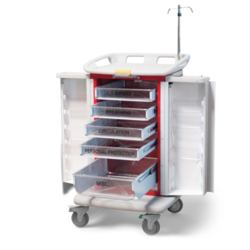 Some of its features include providing for smooth functionality support, allowing secure movement of all required drugs and supply inventory, perfectly matching up to need of hospital or healthcare critical care environment, breakaway locking handle for emergency response, high-impact panel support among others. Fowler Bed Mechanically offered features presence of smooth crank mechanism which makes it easy to operate the position of back rest and knee rest to desired level for maximum user comfort. 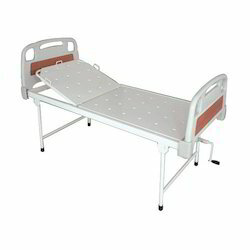 Made available in standard sizes, these beds also come supported by easy lifting guardrails so as to ensure complete safety of the patients. Some of its features include use of removable quality ABS engineering plastic head & foot panel support, epoxy coated mild steel frame work for lasting usage, support of heavy duty castor wheels with central braking system, coming with provision for fixing I.V. rod on any side of the bed and others. 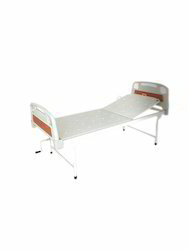 Hospital Fowler Bed with ABS Panel offered come in strong steel tubular frame finish and epoxy powder coating support that provides for lasting usage. Meeting the demands of providing high comfort level to patients, these beds come with choice of adjustment to different levels as well as changing of back rest and knee rest position thus making these highly user friendly. 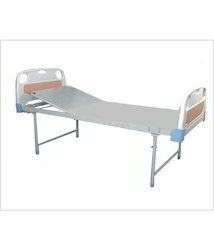 We also offer thee with support of collapsible safety side railings, heavy duty castor wheel support for easy movement and other support features which make these hospital flower beds highly demanded in hospitals. Our company has achieved milestone in offering Medicine Trolley to the clients. This product is manufacture and designed with the help of optimum quality basic material and contemporary technology in compliance with industrial standards and norms. 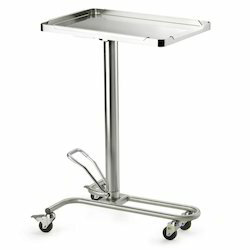 Medicine Trolley can be customized as per the requirement of the customers. Offered range is widely applauded for sturdy nature and corrosion resistant amongst the esteemed clients. This product finds application in clinics and hospitals. This product is widely demanded by the respected patrons. 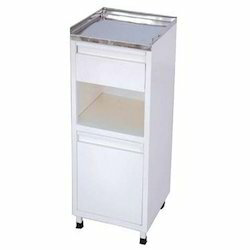 Mayos Instrument Trolley with SS Tray offered feature smooth and durable construction finish which make these highly demanded and used in hospitals, clinics and other health care support centres for holding an array of medical instruments. Further, the heavy duty castor wheel support as well as medical grade stainless steel tray support also makes these high in terms of performance. Some of its features include epoxy powder coated finish for lasting usage, mild steel tubular framework finish, choice of manually adjusting of height, suitability for use in OT areas, suitable for carrying medical instruments like scissors, cotton, spirit and others. 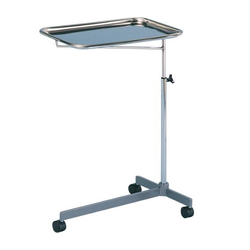 Instrument Mayos Trolley over the OT Table offered features fine, smooth and light weight coated finish which makes these provide bet support as instrument trolleys used in OT. 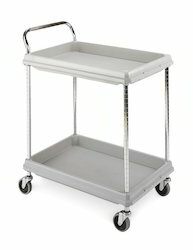 Coming with easy to handle sliding mechanism and castor support for easier handling, the epoxy powder coated finish of these stainless steel trolleys in mild steel tubular frame work finish also make them preferred over other models. Some of its features include adjustable height option, especially designed for meeting operation room working conditions, suitable for carrying medical instruments as required in OT among others.